A TRALEE woman will enjoy a great start to 2019 as she was the latest winner in the Cara Credit Union Cara Members Draw. The draw itself took place at the Cara Credit Union on Monday, December 7, but the winner didn’t find out until a day later when by chance she was in the offices in Ashe Street. Tara Flynn, originally from Lohercannan, but now living in Racecourse Heights, won the brand new 191 Kia Stonic purchased from McElligotts Tralee Ltd.
“None of us could believe the coincidence. My car is 11 years old and we were actively in the market for a brand new car this month so it comes at an opportune time. It’s a great start to the new year,” she added. 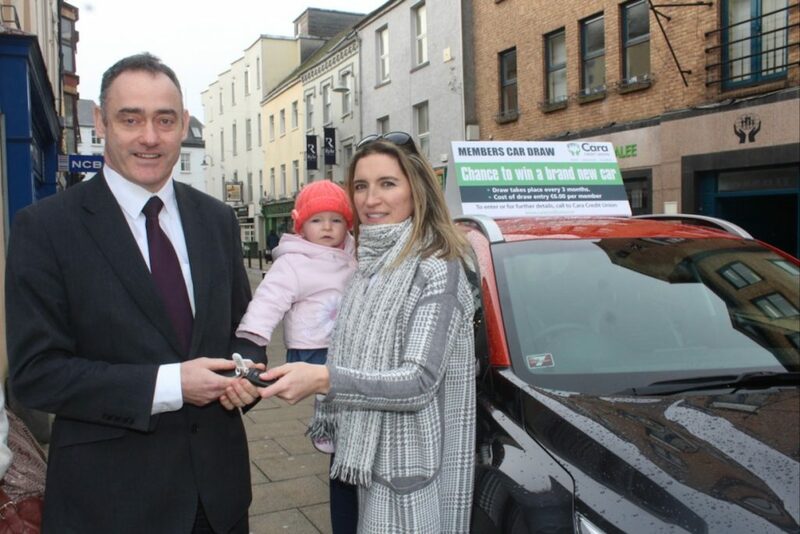 Tara wasn’t the only member to benefit from Cara Credit Union’s December Members Car Draw. The surplus funds left over from 2018 was raffled out to their car draw members in the form of cash prizes and 31 other members won €1,000 each in time for Christmas. 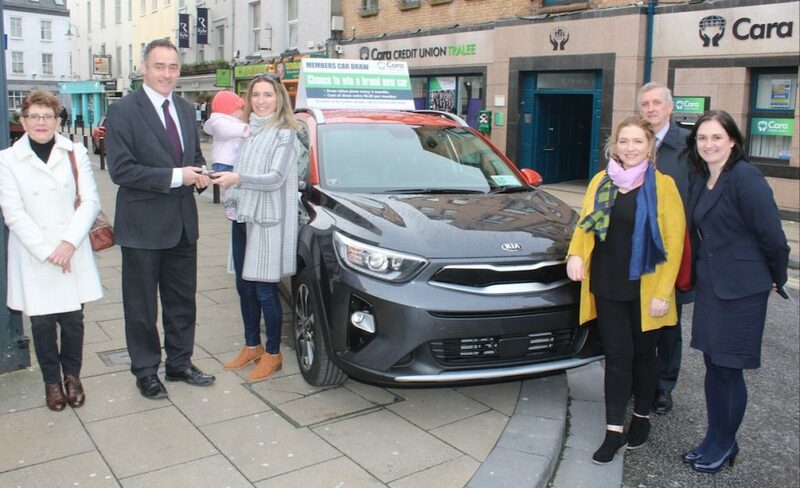 Cara Credit Union run their car draw four times a year at a cost of €6.00 per draw. 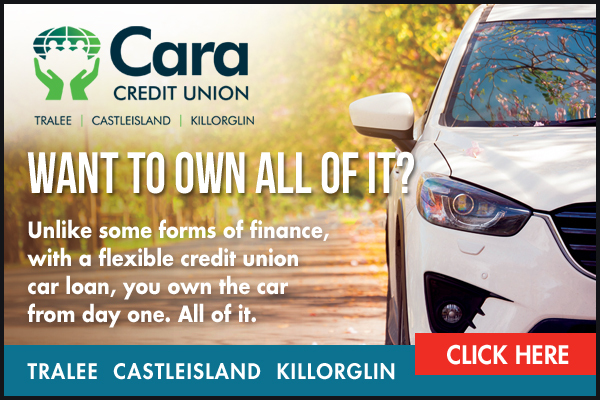 Their next Members Car Draw takes place at Easter, for further information visit their websitewww.caracreditunion.ie or call in to their offices in Tralee, Castleisland and Killorglin.